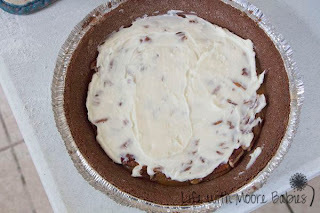 This past week we celebrated Pi Day! Ok, so my kids are way too young to know what Pi is, so we celebrated with Pie. In fact we had "Pi" all day long. 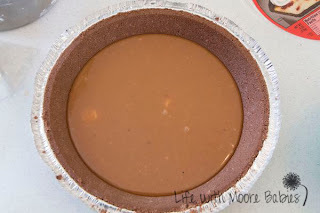 For breakfast we at "mock" apple pie made with apples, cinnamon, and crescent rolls, lunch was chicken pot pie, our snack was pineapple, dinner was pizza pie with chocolate caramel supreme pie for dessert. 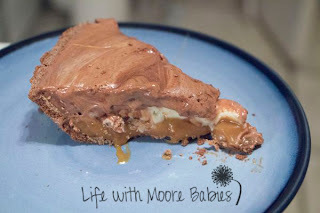 By far the tastiest (at least for those of us with a terrible sweet tooth) was the Chocolate Caramel Supreme Pie, so I thought I would share the recipe! 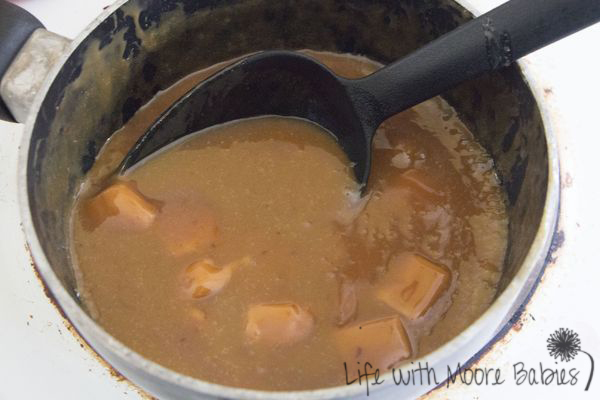 Start by heating the caramels, 3 T butter, and 2 T water over medium. Stir until melted. 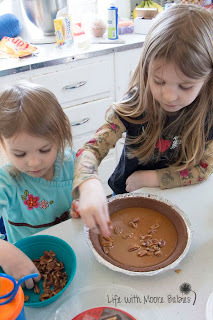 Pour the caramel mixture into the chocolate pie crust and sprinkle with pecans (this was the girls job). 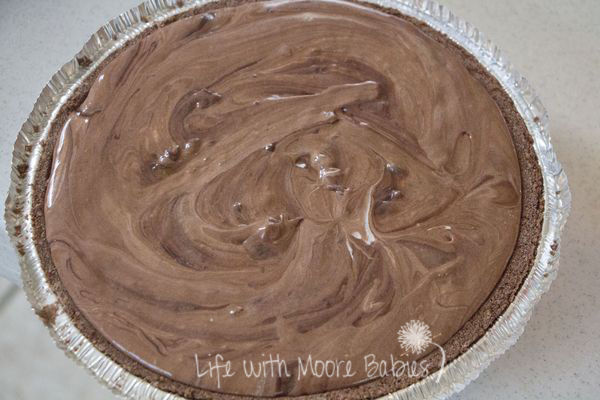 Then refrigerate for an hour. Mix together your cream cheese and powdered sugar. Spread over caramel layer. Return to refrigerator while you prepare the whipped topping. 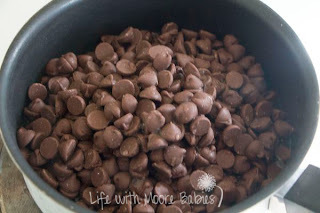 Melt chocolate chips and 3 T water over low stirring until melted. I did not read my own recipe when I made this and used too many chocolate chips. It still worked, but did not turn out as fluffy as normal! Once melted remove from burner and allow to cool to room temperature. Gently fold together whipped topping and cooled, melted chocolate mix. Spoon over cream cheese layer and refrigerate until serving (at least an hour). I hope you all had a tasty Pi Day too!